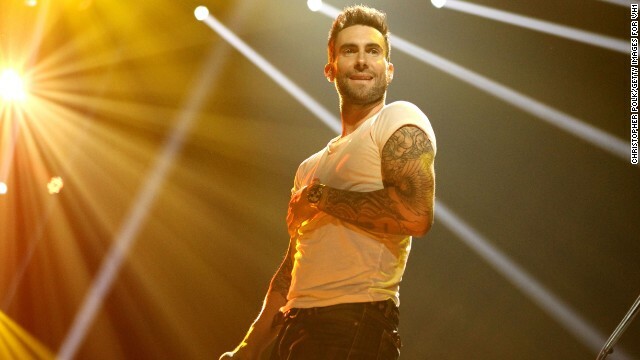 If you don't like Adam Levine, the Maroon 5 front man totally gets it. As he tells GQ in its July issue, "I'm not an easy guy to root for." The "Voice" coach and successful singer/songwriter is also constantly saddled with the "D" word - that would be "douchebag" - to the point that he'll own up to supporting evidence. For starters, he's become known as the type to blame his noticeable promiscuity on his voracious love for women. But in his defense, Levine says that perspective came from an era when he was simply enjoying the fruits of his success. "Men are not as sophisticated as women," Levine tells GQ. "They're not as mature as women. They're not as connected with their emotions as women. There's a very Neanderthal quality that still exists in a lot of men. There's the carnal s*** you can't deny. And if you're in the public eye, to me, it's very boring to say what you have to say and be media trained to the extent that you don't ever reveal any truth. There was a time in my life when I lived probably a bit more on the primal level. And it was amazing." It was amazing, but also "kind of the foundation of all the negative s*** I still get," he continues. "I was out there having fun, you know. I didn't give a s***, and I got burned for it." Now 35, Levine, who's engaged to model Behati Prinsloo, says he's put his more childish ways behind him. "Being 35, as a dude, is basically the time in your life where you say, 'Am I gonna be a kid for twenty more years? Or am I gonna be a grown-up?' " he says. "It's almost like you think to yourself, God, you know, I don't want to be a 50-year-old dude trolling around a club in L.A."
So while it would be "really easy to assume that I was a douchebag," Levine points out, "that doesn't mean that I am." You rock Adam. Even my 73 year old momma loves you after watching you on The Voice. You are a wonderful, caring guy, that much is obvious. Keep on doing what you do and ignore the jealous trolls.